Home > HomeBuy Schemes > What are Home Buy Schemes? The HomeBuy schemes were devised to help struggling potential homeowners. In today’s economic climate the property market is more difficult to get into than it has been for a long time and the Government has devised a series of initiatives in order to help those who cannot get onto the property ladder through the traditional method. Getting an affordable mortgage at present can be difficult with lenders rates increasing following the US credit crunch. This together with high house prices mean a borrower may not be able to take out an adequate mortgage to buy a property.As a result of this the HomeBuy schemes, among other initiatives, were devised. What HomeBuy schemes are there? There are three HomeBuy schemes. They are Open HomeBuy, NewBuild HomeBuy and Social HomeBuy. The NewBuild scheme acts to help potential buyers purchase a share in a new property.Open HomeBuy involves equity loans from the Government and/or a lender to add to a traditional mortgage.The Social HomeBuy scheme was devised to help social tenants i.e. tenants of housing associations and councils to buy a share in their rented property. 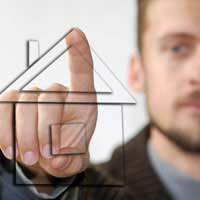 Which HomeBuy scheme is best for me? The choice of which HomeBuy scheme is best for you depends on which you are eligible for. Each of the schemes has been developed for a different group of potential home owners and they are just some of the options available. Who is eligible for NewBuild HomeBuy? The NewBuild Home Buy scheme is not available to everyone. Those who are eligible for the scheme include housing association tenants, key workers, council tenants or those who are on the waiting list for a housing association or council property. ‘Priority’ first-time buyers are also eligible for the scheme. Whether ot not they are classed as ‘priority’ is up to the Government. A priority first-time buyer, for example, could include a person who is a key asset to the community. Who is eligible for Social HomeBuy? The Social HomeBuy scheme is available to any housing association or council tenants as long as the housing association or council is participating in the scheme. It is currently a voluntary scheme though so the housing association or council does not have to take part. The Government is encouraging all landlords to take part. If you are interested in applying for the HomeBuy scheme you must contact your landlord. Who is eligible for Open HomeBuy? The HomeBuy scheme is available to a select number of people. The eligibility criteria is similar to that of the NewBuild HomeBuy schemes. Those eligible include council and housing association tenants, key workers, those on the waiting list for a council or housing association property and ‘priority’ first-time buyers. What if I am not eligible for any of these schemes? If you are not eligible for any of these schemes there are other options including Right to Buy. However all of the schemes have strict criteria in terms of assessing eligibility and it may be that none of the schemes are available to you. I am currently privately renting in London which is expensive. I am a single parent of a 17 year old in full-time education. I would like to know if I qualify for any form of home buy scheme.